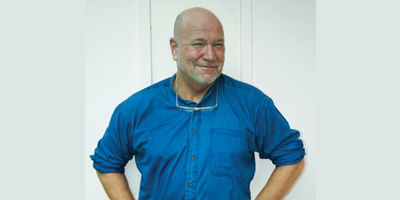 White, most noted for his New York Times bestselling Doc Ford thrillers, published by G. P. Putnam’s Sons, has more than 50 books to his credit, including crime fiction, adventure tales, cookbooks, and travel accounts. He has written for numerous magazines and he co-wrote a television program, Gift of the Game. White is also a co-founder of Big Brothers in South Florida. Katie Grinch, a spokeswoman for Putnam, nominated the Sanibel Island resident. Grinch said White is one of the nation’s most popular thriller writers. “His audience and reputation only continue to grow, and through him, hundreds of thousands of readers have been introduced to the secrets of Florida’s natural wonders and history,” she said. This is the 10th year Florida Humanities has presented the Florida Lifetime Achievement Award for Writing. Previous recipients include two Penguin Random House authors: Carl Hiaasen, a Miami journalist and bestselling novelist who virtually invented the Florida Noir genre, and Enid Shomer, an elegant writer of poetry and fiction. The Florida Humanities Council, established in 1973, uses the disciplines of the humanities to develop public programs and resources that explore Florida’s history, literary and artistic traditions, cultural values, and ethics. The council is an affiliate of the National Endowment for the Humanities.